Our friends at Operation Shower are experts at party planning. They host baby showers all over the country to honor our military families since 2007. This spring they featured our beautiful Watercolor Greenery Collection. The theme “My Vintage Garden” worked perfectly with our exclusive Nashville Wraps line of gift packaging products. 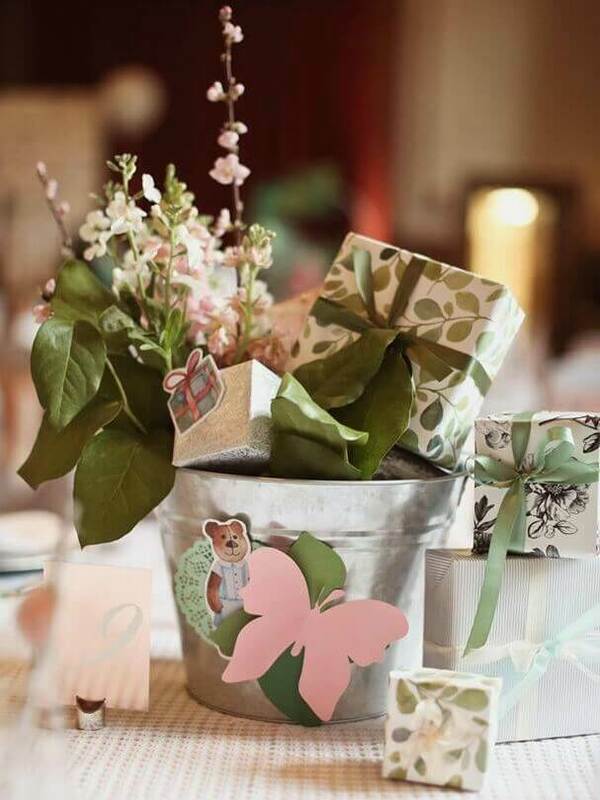 The Operation Shower event planners created centerpieces using wrapped gifts with Watercolor Greenery wrapping paper. This hand-painted design is lovely for a botanical look in muted shades of green. Tie with elegant satin ribbon or natural burlap. Add gift tags with twine for gift recipients for a gorgeous presentation. From table settings to party favors, gifts wrapped in pretty paper is always a beautiful choice. 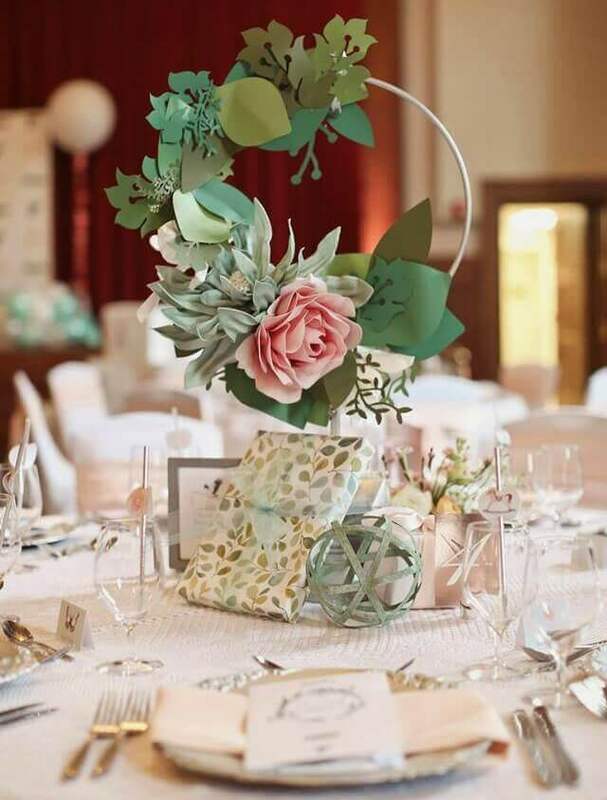 When designing a centerpiece, create a tall focal point with flowers, stacked nested boxes or candles, then group the packages around with interesting decor pieces. The gifts can be props or actual presents for party guests. For gift retailers, merchandising your products using inviting display tables is essential. 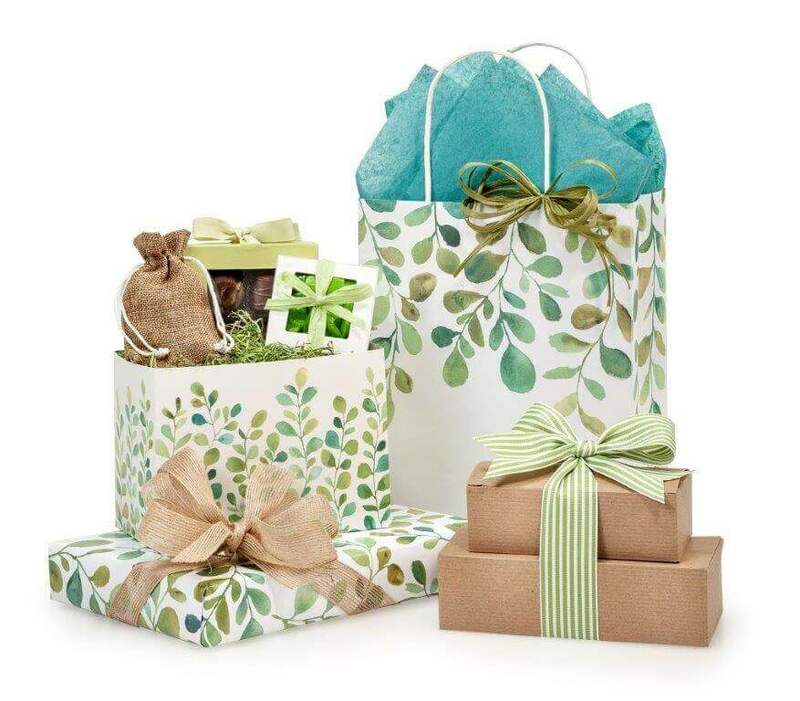 An inexpensive, yet elegant look for spring is using our exclusive Watercolor Greenery Collection in your store gift wrapping. Then coordinate this look throughout all store displays. By featuring wrapped gifts and shopping bags with fluffed with tissue paper in store window displays, you showcase a consistent theme throughout your shop. Add gift basket boxes filled with small merchandise ideas at the checkout stand for easy gifts-to-go. Our popular Watercolor Greenery Collection is so versatile and ideal for gift shops, florists and garden centers that it will bring the outside indoors all summer long! Do you all sale cookie bags? Should you have any more questions or concerns, please let us know. We are always happy to help!